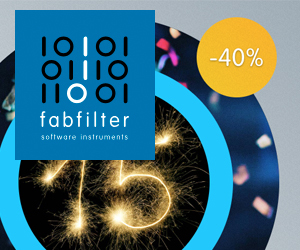 How much have you spent on Kontakt libraries? Being a hobbyist, I spend a few hundred bucks every now and then on my studio. 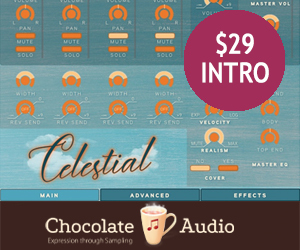 The price, the size, and the effort of using Kontakt libraries has never been appealing to me. I'd rather spend my money elsewhere and I'm happy with the sampled content that comes in most Romplers or Piano / Drum VST's. However, I frequently see people on forums saying that Kontakt is a "must-have" and should be one of the first purchases made. Also I see a constant stream of new Kontakt libraries from all sorts of vendors, many of which seem to cover the same instruments with just slight variations. I wanted to get some perspective if this is a small and vocal group of people writing for orchestra or film, or if it's a large percentage of people using it in general. Re: How much have you spent on Kontakt libraries? I don't use it ... Ableton Sampler/Simpler combined with Drum & Instrument Racks works fine for me. Kontakt is the rabbit hole of all plugins. And those libraries bind themselves to you for life. Not nearly the "must-have" as so many tout. And while it might be an "industry standard". Once own, many of us realize that's just marketing hype that means little to nothing in actual usage. It's like saying Coke is number one and then learning that Coke packages all their sales to make it that way. Don't get me wrong, it's a good plugin, just not as necessary as the flock insists it is. There are cheaper and as effective ways to do what you want. Due to how their servers connect in the last three years, I've all but stopped using it and have been much happier for the most part by replacing it with HALion 6. Since then, I've found I actually only open Kontakt up to use a couple of third party libraries... And even that is starting to fade. There are cheaper and as effective ways to do what you want. I have Ethnic World 5, Soniccoutour Hammersmith Pro, and another Soniccoutour collection, with harpsichords, theobor, lute. Conservatory Collection? The Soniccoutour stuff I got for ½ price, so €200 there, and €459 for EW5. Where's the over 9000 option? I don't use it. Why did i vote in the poll and post in this thread anyway? Unknown. Oh, wait... now that i think about it, i use Kontakt Player, and actually spent 65 € on a library for it once... embarrassing that i forgot that. It certainly opens up a lot of free content. And a lot of paid content too, when they're not Kontakt Player licensed. Depends what kind of music you make, I suppose. Got the interesting and ancient from SonicCouture, PureMagnetik's curated museum, the pristine machines sampled by Samples From Mars, the original Spitfire Labs creations, some of Spitfire's orchestral instruments (Christian gave a Euphone away to some people that requires Kontakt full), Sonokinetic's holiday giveaways used to require Kontakt full, most Zero-G samples have Kontakt patches that make them easy to work with, Goldbaby too, Orange Tree guitars and more, Ilya Efimov's ethnic stuff, random and unique stuff like Rattly and Raw, Hollow Sun, HideAway Studio, Precisionsound, Wobblephones. I'm forgetting a ton, it opens up instruments you couldn't easily get otherwise. Its ubiquity is its strength. To OP, yes, there is a lot of retread ground. 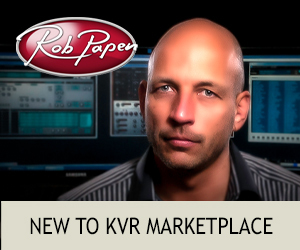 You need to look at the smaller Kontakt developers sampling less mainstream instruments or creating entirely new ones. I mentioned a couple near the end. Ha I was looking for the over $20k option. It is obscene what a quest for the ultimate pan flute sound will do to you. Not nearly the "must-have" as so many tout. Don't get me wrong, it's a good plugin, just not as necessary as the flock insists it is. There are cheaper and as effective ways to do what you want., I've found I actually only open Kontakt up to use a couple of third party libraries... And even that is starting to fade. Speak for yourself. You're not 'so many' and you don't know from your 'you don't need' particularly. Just sayin'. He's been doing this number for years now. I found it a bit patronizing 'as the flock...'. Maybe be less easily triggered, or you could mute me if you have some beef. I'll leave your posts alone, fine by me.